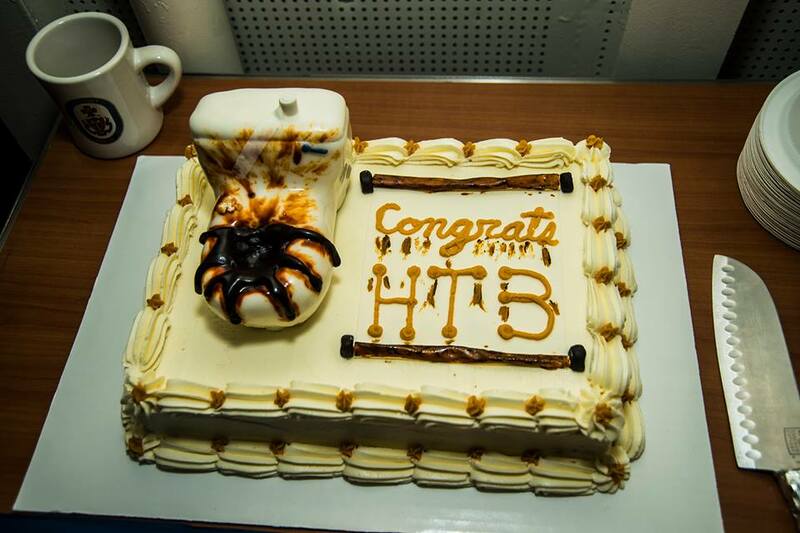 It was a cake made to order for a hull technician: porcelain white icing and a sculpted toilet that appears to have had some flow issues worthy of a trouble-call. It was the re-enlistment cake for Hull Technician 3rd Class Don Smallcanyon, a sailor aboard the destroyer Stout, which left Norfolk, Va., on deployment three weeks ago and is now one of the four destroyers in the eastern Mediterranean, ready to launch Tomahawk strikes into Syria if called upon. The cake photo was posted early Tuesday on Stout’s official Facebook page and garnered 105 likes. We can only hope the brown icing was chocolate.